Of the almost 1,000 questioned by the Regional Health Secretariat between the years 2013 and 2015, it was concluded that we consume half of the vegetables suggested daily by the World Health Organization. That is, when we should consume 400 grams, we are consuming 231 grams per day. In addition, 84% of respondents said they did not read the labels of the products they consume. These and other data were just announced at a ceremony held in the noble hall of the Regional Government and attended by the Regional Secretary for Health, Pedro Ramos. This presentation made during the celebrations of World Food Day results from a study of the dietary habits of the adult population of Madeira, which also revealed that we consumed more processed meat and red meat, but in contrast, when we consume fish, we eat in more quantity. The study also shows that although water is the preferred drink of the inhabitants of Madeira, the soft drinks appear soon after and at a short distance. As for food that is not part of the food, we consume 22%. That is, soft drinks, alcohol, crackers, cakes and sweets are highly sought after. The study shows that 59 percent of the adult population of Madeira is overweight. The regional health secretary considered that this study will allow a better future strategy to be defined and that all the regional strategies that have been implemented are aimed at improving the quality of life of the inhabitants of Madeira. “We have to invest more in prevention,” admitted Pedro Ramos. It should be noted that the study in question was coordinated by the Nutrition and Dietetics Unit of SESARAM with the collaboration of the Patients and Statistics Management Center and the Research Nucleus dra. Maria Isabel Mendonça from SESARAM. 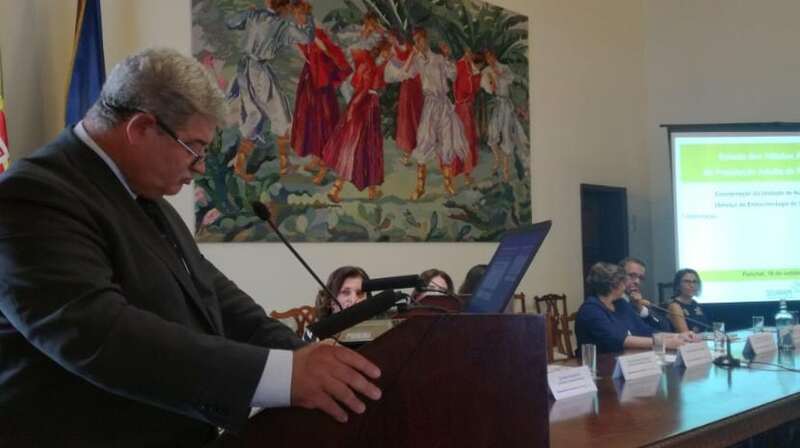 He also had the contribution of the Faculty of Nutrition and Food Sciences of the University of Porto and the Institute of Health Administration of Madeira.